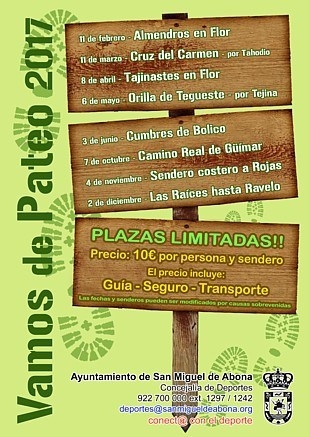 Vamos de Pateo are a series of guided hikes all around the island organised by the San Miguel de Abona council on Saturday's throughout the year. Each hike costs 10 Euros and includes guide, transport and insurance. You can register by e-mailing deportes@sanmiguelabona.org.